Let me introduce myself. I have been working with payments solutions for more than two decades and I have been writing blog posts, commentaries and feature articles about payments solutions for nearly as long. You will find me published on sites such as ATM Marketplace and Banking Tech and I maintain my own industry blog, Real Time View. Having this opportunity to extend my coverage of payments solutions to include all the behind-the-scenes activity associated with ensuring that these solutions run to spec and achieve the goals of the financial institutions (FIs) running them is an opportunity for me to look at payments solutions from a slightly different perspective. That perspective will deal with how best to respond in a timely and relevant way to the disruption taking place within the payments industry. Such a response will require determining how best to deal with constantly-changing expectations about an ever-changing user experience. Unfortunately, it does not end there. While achieving this goal, FIs must demonstrate a level of value-add that not only justifies their existence but also ensures they remain competitive. 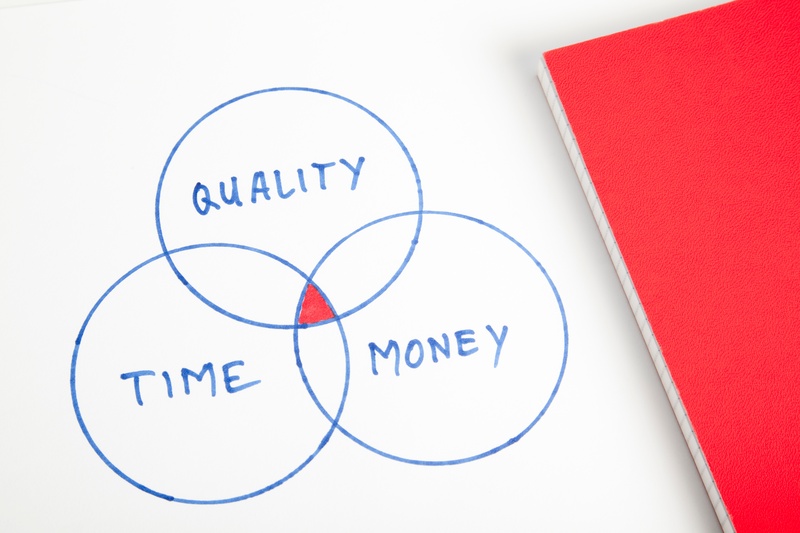 A general contractor I worked with recently reminded me that when it comes to high quality construction projects, it is still and always has been a matter of time and money – he, also, likes to remind me that he has the time if I have the money. The implication, when applied to payments, is that organizations processing payments need both in order to stay current with industry changes and mandates while also responding to shifts in user expectations. In the past, any demands to reduce the time required to bring a feature or product to market often meant spending more money - exactly as my general contractor predicted. However, automation is beginning to change this model, and the expectations of FIs are fundamentally changing right along with it because automating the testing of payments solutions has become the only way the payments industry can stay current. Having automated tests saves a lot of time and money. Though it may seem that the initial investment in developing the automated library of tests is costly, consider how big a savings can be realized by running a library versus having QA personnel manually construct tests. In addition, there is the proven software development calculus that demonstrates uncovering problems earlier ultimately lowers the investment that must be made to “fix” them. Further, having regression testing available while developing any new code and having the added benefit of running these tests in parallel reduces the time required to complete the changes, lowering the cost of implementation. But how do you combine the predictability and quality of the well-planned release cycle with satisfying a demand for fast delivery of the new features and enhancements that will position you as a leader in the payments industry? The answer is the same as above – invest in automated testing! Ideally, this would be done within a larger effort to develop and pursue an enterprise testing strategy so your organization can plan ahead and embrace the changes we all can see unfolding before our eyes. Only then can an institution shore up the defenses necessary to protect its brand against potential failures that otherwise could not have been avoided. When it comes to embracing change, time and money are clearly important, but be cognizant of scale as well. This is particularly important during those times when a business is undergoing growth by adding new customers, products, services and partnerships. Scaling to meet the challenges that come with growth necessitates automation, for without the opportunity to automate, shortages of skilled personnel will become apparent all too quickly, throttling down the growth curve that might have otherwise been realized. However, not all automated testing product offerings are the same. Generic products are limited in the functionality that can be tested and when there is a need to validate exchanges of messages with many different devices, these products fall short, necessitating considerable customization on the part of the FI. For the payments industry, it only makes sense to implement automated tests developed specifically for FIs and for the changing environments they all have to deal with. The obvious advantages of automated testing include availability of the regression test library for execution during any phase of a development project. Having an automated test library allows anyone on a team to run the library while developing new features or improving functionality to assure the new code is not breaking the product! Adding new tests by the QA personnel to the automated library as your product evolves can be done in parallel with development of the new features. With automated testing, you are applying tests in the repeatable manner. For now, the most important consideration of every FI is to have a well thought-out strategy for testing and to have in hand the right tools and resources to execute the strategy. And so it is that I have come to Paragon Application Systems, by my reckoning and that of those who I have polled of late, the premier vendor in the automated testing space. Paragon works with payment providers to develop viable strategies that address the dual constraints of time and money. Addressing these constraints and delivering the quality levels that address the “anywhere, anytime” expectations of consumers requires that automation is embraced. Lastly, as someone who has spent a good deal of time in the space, consideration also must be given to modernized NonStop systems and the payments solutions that run on them – and there are many to choose from today. Look for further commentary and posts from me on this and the role Paragon plays in the successful approach to these and other critical elements related to such environments in NonStop community publications including NonStop Insider, The Connection and Tandemworld, as well as in blogs like Real Time View. Richard Buckle is a leading subject matter expert on critical systems that provide the highest levels of scalability and availability. For two decades, he worked in varying roles throughout Australia, Canada, UK and US focusing on IBM and IBM PCM mainframes. For more than 25 years, he worked as a product, marketing and program manager in the Tandem NonStop space. He is a featured writer and commentator for a number of publications and a regular blogger on a number of topics.